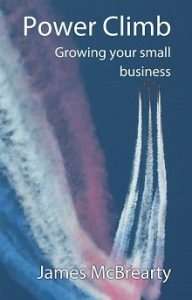 Business Growth Packages | Tax Accountant in Surrey, helping the self-employed. Are you thinking about starting a business, or growing an existing one? I have helped hundreds of businesses like yours to grow, and offer a range of three affordable packages that cover key stages. The packages are: business start, business growth and social media. You can find out more about the packages below, as well as the experience that I bring in each of the areas to help you. Each package offers 2 hours of consultancy, and they can either be taken in person throughout Surrey or by Skype/phone remotely. The costs for the packages are set an affordable level of £95 – £125. As for tax returns and accounts, the main reason people don’t seek help is due to the cost. As an added bonus, for the self-employed, these costs are a qualifying business expense so attract tax relief in your accounts. Perhaps you are currently employed, and considering starting your own business? There are many areas to consider that you may have missed. I will discuss the options, answer your questions, and share my experiences with you. I started my own business from scratch in 2006, and have grown it over the years – helping hundreds of others to do the same. Having shared many of the same experiences in growing my own business, I have found that similar areas of concern keep coming up – when some advice at the early stages can save a large amount of time and trouble later on. 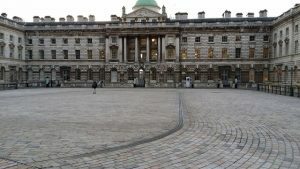 In 2015 I was one of the advisers at Somerset House for the StartUp 2015 event – helping people to understand the options available to make the process easier. £95 – Business start package. Have you been running a business for a number of years, but are frustrated at the growth? I can help you explore areas that offer simple, low-cost and easily implemented opportunities to grow. If you have an existing accountant I can also help you use your accounts for planning – there is a shocking statistic that up to half of business owners don’t understand their accounts information and the opportunities they present for growth. I have grown my business every year, taking on new clients and developing the service as technology progresses. 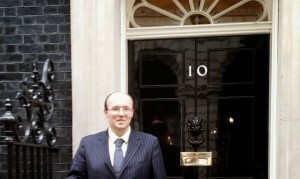 In 2014 I was invited to Downing Street, as one of only 100 businesses from the whole UK to be chosen as part of the Small Business Saturday event. £125 – Business growth package. Are you mystified by Social Media? Or looking to develop existing resources? If you are not careful you can waste a large amount of time online not actually being effective. I will help you understand how to get the best return from your investment in time from social media, answer your questions, and share my award-winning experience. 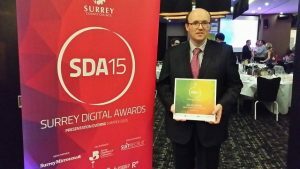 In 2015 I was the gold winner of the ‘best business use of social media’ category at the Surrey Digital Awards, beating many larger companies throughout Surrey. I have been using social media in my own business since 2009, and was also the social media manager for BNI South East in 2011/2012 (BNI is the world’s largest referral marketing organisation.) In addition to managing all their social media accounts for the Surrey, Kent and Essex regions I also developed a presentation on how to use social media for business and delivered this throughout the counties to hundreds of local business owners. £95 – Social media package.